Since the early 80s, British comedian and writer Ben Elton has worn his politics and heart on his sleeve. Classic TV series such as The Young Ones, Blackadder and Comic Relief attest to this. An older Elton may have mellowed, but his Australian feature debut Three Summers retains sociopolitical grandstanding (indigenous land rights, refugees) along with several swipes at the establishment. But in a more genteel, easy to digest manner than the manic Elton of old. Set at a weekend folk festival over three years, stories intertwine as performers and audience members return year after year. A rom-com is at the heart of Three Summers and whilst, by year three, the energy of the film is on the wane, the comic timing from the likes of Magda Szubanski (Babe, TV’s Kath & Kim) as the on-site radio presenter makes for an enjoyable and good-natured couple of hours. Tim Winton is something of an Australian national treasure – four-time winner of the Miles Franklin Award plus one shortlist from 10 novels, twice shortlisted for the Booker Prize, numerous Australian Premier’s Literary Awards and any number of adaptations of his books and short stories for stage, television and film. Whilst his earlier Cloudstreet (1991) is regarded as a seminal Australian novel and taught in schools across the Commonwealth, Dirt Music (2001) is garlanded with more acclaim and awards. A film, to be directed by Phillip Noyce starring Rachel Weisz and Colin Farrell, is currently in development (but don’t hold your breath – it’s been ‘in development’ for a number of years). Forty year-old Georgina ‘Georgie’ Jutland is in a rut of domestic tedium and social isolation. Privileged white upper middle-class background from the “Perth dress circle” counts for nothing as she finds herself in the (fictional) isolated fishing settlement of White Point a few hours drive out of Perth. Having rebelled at a young age against her mother and younger sisters’ constant interest in superfluous shopping trips, Georgie has made her own way in life – including dropping out of law and training as a nurse. A stint in Saudi Arabia left her exhausted and disillusioned with her chosen profession – to the extent she reinvented herself again. Her decision sets in motion an epic of a story that takes in the vast, watery landscapes of the northern extremes of Western Australia, the lives of several residents of White Point and brings to the fore Georgie’s relationship, past and present, with her family. Nothing remains secret for long in White Point: even Lu Fox’s pre-dawn forays. The killing of his dog and torching of his dilapidated 4WD gets the message across. But by then Georgie, drawn to a local who is more of an outsider than she, has already put her relationship with Jim to the test. Georgie is in the thrall of a White Pointer who has read extensively and yet remains something of a mystery, surrounded as he is by tragedy. Neither would call it love, yet they cannot stay away from each other, united as they are in their own form of grief and struggles in coming to terms with a sense of loss and their wrecked lives. Forced as he is to leave White Point, Lu heads north to the (fictional) archipelago of Coronation Bay in the far north, seeking, as he is, isolation and solace. Initially, Georgie attempts to deal with her loss by immersing herself in more of the same tedious routine. But, as the novel simultaneously unfolds, layer by layer, Lu’s journey to the north and Georgie’s downward spiral, so Dirt Music heads inevitably towards a momentous finale that may – or may not – have the ending both have been seeking. It is a powerful, evocative story. This is not a tour guide through the red dirt or pristine white-sanded beaches of Australia. Instead, Dirt Music is at times “like wading through barbed wire”, the stunning idyllic beauty of the islands susceptible to violent cyclones, plagues of mosquitoes, intense heat and more. The destructive bigotry of the bogans of White Point sits alongside the emotional sterility of wealthy coastal suburban Perth. Dirt Music is a story of a journey. On one, overt, level it is the story of Lu Fox’s journey to the north, the people he meets, the dangers he faces. Yet it is also about life’s journey, the balance between the choices we make and the events around us we cannot control. All three main characters (Georgie, Lu and Jim) each go on a personal journey of self- discovery, sometimes interconnected, more often in isolation. Damaged, like the land around them they are all three raw, rough and flawed. 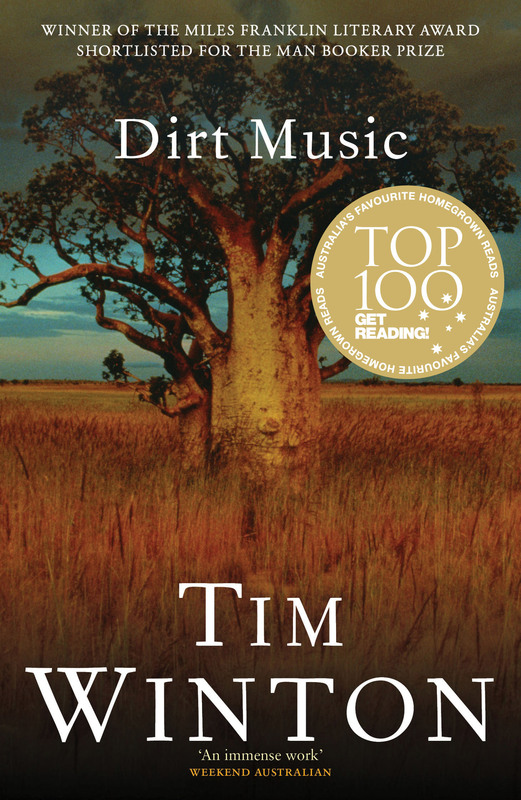 Winner of the 2002 Miles Franklin Award (and shortlisted for the Man Booker Prize), Dirt Music is multi-layered and complex with striking imagery, memorable characters and, typical of Winton, a fascinating and wholly engaging storyline. Described as the Australian To Kill a Mockingbird, Jasper Jones is astute, witty, wise and a beautifully written coming-of-age story. Opening at the tail end of 1965, bookish 13 year-old Charlie is disturbed late one night by Jasper Jones. Just one year older, there are light years between the two boys. Solitary, rebellious, mixed-race, Jasper is an outcast in the (fictional) Western Australian mining town of Corrigan. His reputation precedes him. With a mix of awe and fear, desperate to impress, Charlie responds to the older boy’s call for help. It is the end of his innocence as Jasper leads him to a hidden glade a little way out of town and reveals a terrible secret. Charlie must now carry the heavy burden as the town simmers in the almost unbearable summer heat. Tensions are running high with the disappearance of Laura Wisehart, the mayor’s daughter, in an already volatile atmosphere with the loss of jobs at the local mine and the unpopular war in Vietnam that has resulted in the deaths of conscripted Australian soldiers. He’s not a brave boy, Charlie, preferring the safety of his books. But even home life is far from serene with his tempestuous and temperamental mother. Dissatisfied with a small town existence and lack of ambition of her teacher husband, frustrations are reaching boiling point. The young teenager therefore prefers to lock himself away than deal with the simmering tension between the adults and a constantly angry mother. Only Charlie’s diminutive best mate, Jeffrey Lu, seems to be oblivious to all around him. Thick-skinned to the racist taunts, Jeffrey is out to prove that he’s the best cricketer in town. He is – by a very long way. But a Vietnamese teenager receives no favours or chances in this town. And then there’s Eliza, Laura’s sister and the object of Charlie’s affections. But his secret involves Laura… Yet it appears that Eliza has something to tell him. Winner of the 2009 Indie Book of the Year, the 2009 Western Australia Premier’s Award and the 2010 Australian Book Industry Book of the Year Award and shortlisted for the Miles Franklin and IMPAC DUBLIN award, Jasper Jones is just one of those books almost impossible to put down. An Australian Southern Gothic novel (Charlie is reading Mark Twain), the heat is real, the cicadas loud as the tension builds. Jasper, Charlie, Jeffrey – they’re all outcasts. And whilst the secret cannot be revealed, Jeffrey remains an integral part of the hidden truth. None of the boys are accepted by the white supremacist townsfolk, yet little is as it appears. Not the mayor, not the chief of police. Jasper’s bruises support that. Author Craig Silvey is a master storyteller, a wonderful creator of characters and a cracking good writer of dialogue. Engrossing and enthralling, it’s a book that will make you laugh – the friendship between Charlie and Jeffrey is at once moving as it is, at times, hilarious – as well as make you angry. This is small town Australia in the 1960s with its share of town bullies and racism. 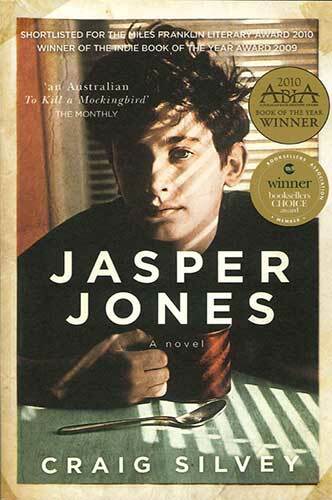 But Jasper Jones is also one of those incredibly rare, beautifully written books that, having finished reading it, you suddenly realise there’s no more to come.